From Goodreads ~ Poring over a dusty hatbox of photographs in her grandmother’s closet, Emily Prentice is shocked to discover her father was married to his high school sweetheart before meeting her mother. Emily's grandmother, Bev, is downsizing to a townhouse and Emily is helping her pack up her farmhouse for the move. They come across a dusty box of pictures in a closet. They are pictures of Emily's father, Jack, and his high school sweetheart, Libbie. It seems Jack and Libbie were married in the late 1960s before he married Emily's mother and Emily never knew. Though Libbie's rich parents didn't approve of him, Jack and Libbie married shortly after high school. Jack felt the pressure financially because he was a young mechanic and didn't have his in-laws' wealth. Libbie went from being a pampered daughter to a housewife and didn't know what to do with her time. She changed and became anxious and self-medicated with alcohol and drugs. As much as he tried to take care of her, they eventually broke up. 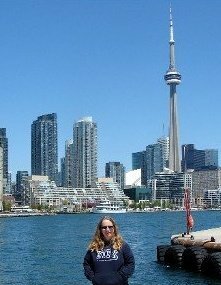 After a few years, Jack met Emily's mother and had a good life with her and their children until she passed away two years ago. Emily becomes obsessed with what happened to Libbie. Jack's life turned out well and Emily hoped the same for Libbie. This is the second book I've read by this author and I enjoyed it. It is written in third person perspective. I thought it flowed well. It starts in present day ... then shifts to the late 1960s to Jack and Libbie's story ... and then comes back to present day again. I liked the characters. Back it in the late 1960s/early 1970s in a small town, it was a different time. The biggest fear they had was young men getting drafted and heading to Viet Nam. Jack and Libbie were young and sweet and in love. I'm reading a book set in the same time period just now, Riel Nason's The Town that Drowned (set in the Martimes though) and I"m really enjoying it as well. It seems to be a popular setting these days! 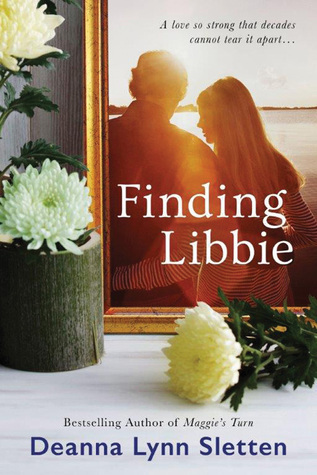 Hi Teena - Thanks so much for taking the time to read Finding Libbie and writing such a lovely review. I'm so happy that you enjoyed it. Thanks for sharing with your readers.